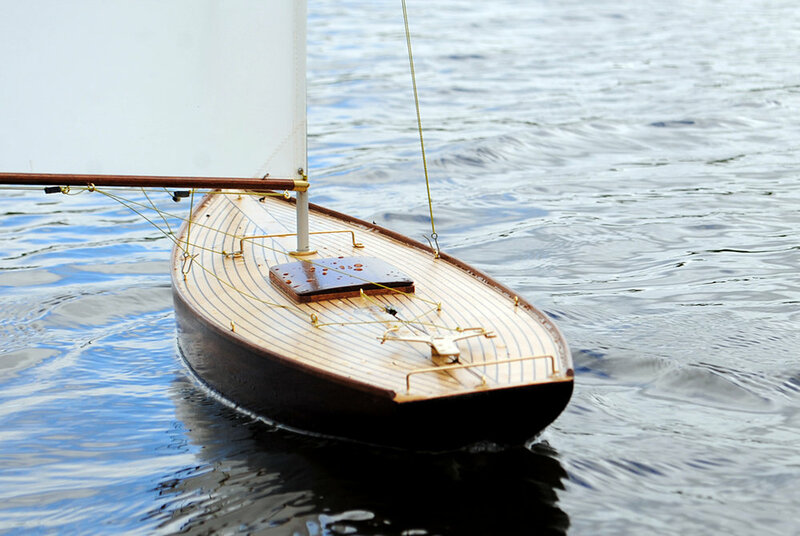 The B30 is a very pretty free sailing yacht fitted with Braine steering gear that will allow you to sail on all courses of sail. 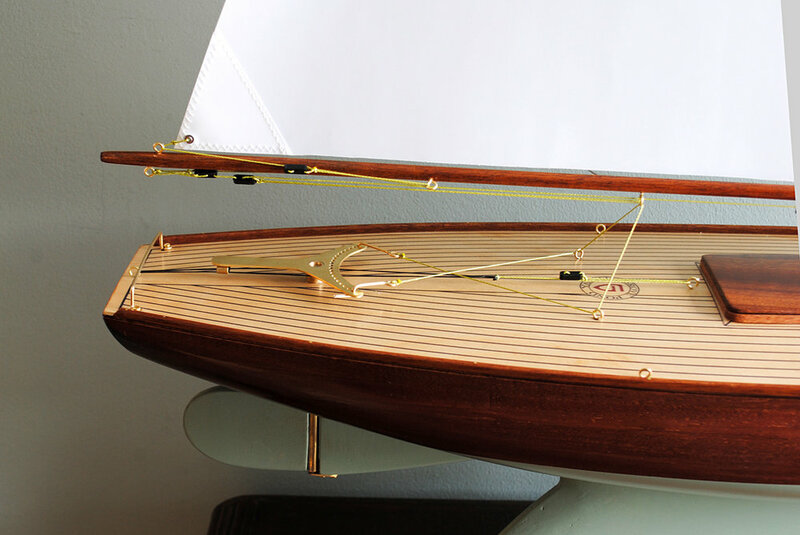 It is a classic 1930s design with small over-hangings and a large flat fin for straight line stability. 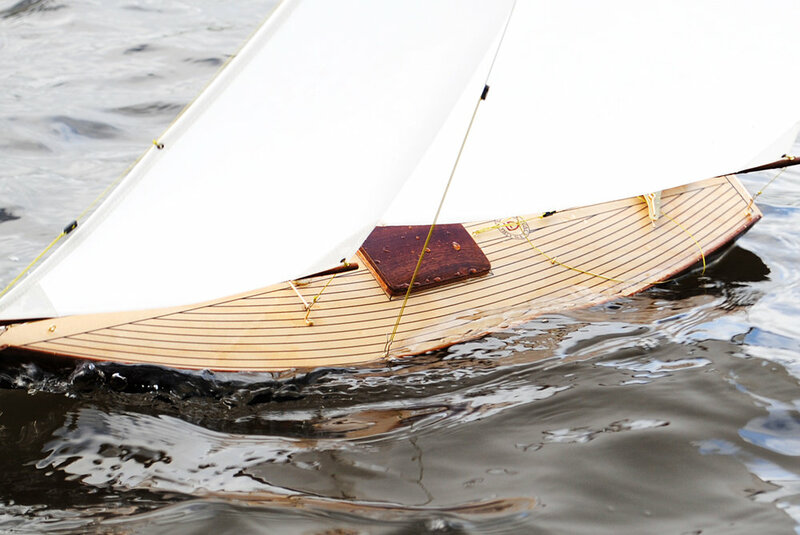 Her hollow hull is hand carved using the traditional bread and butter method of construction. 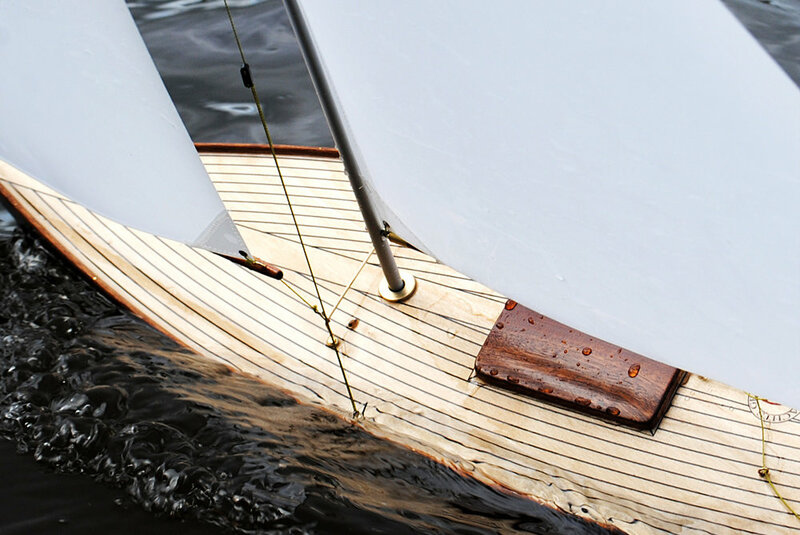 The deck is Birch wood ply and fitted with toe rails and an opening hatch. 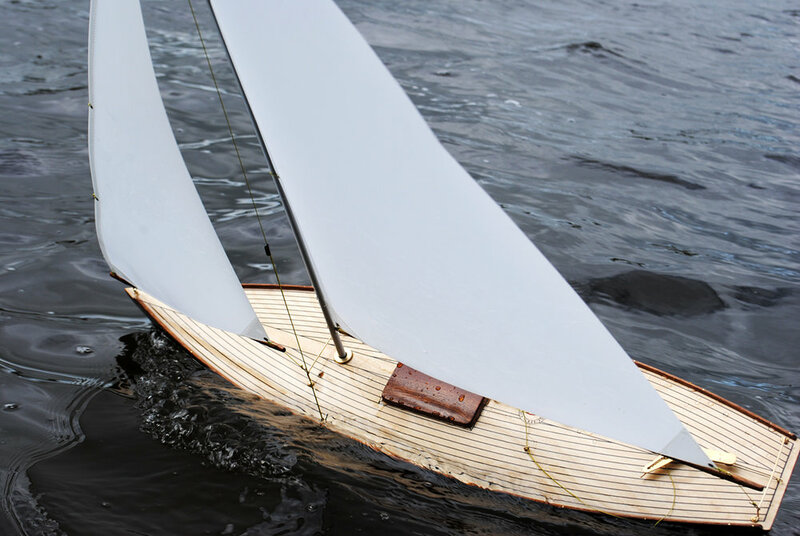 Her mast is hollow aluminum tubing with a wooden top mast and is fitted with high performance Dacron sails as standard. 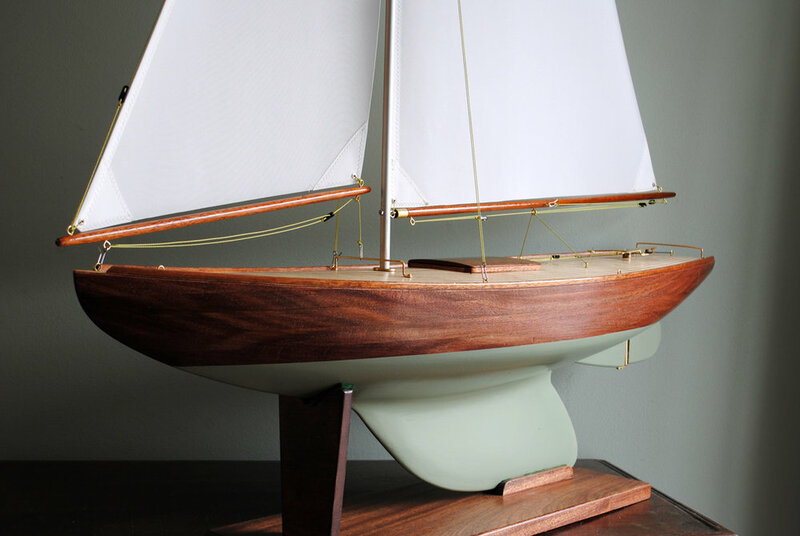 At 30in she is small enough to fit on the back seat of a car fully rigged but large enough to have wonderful sailing characteristics. If we do not have a B30 in stock we can make to order. 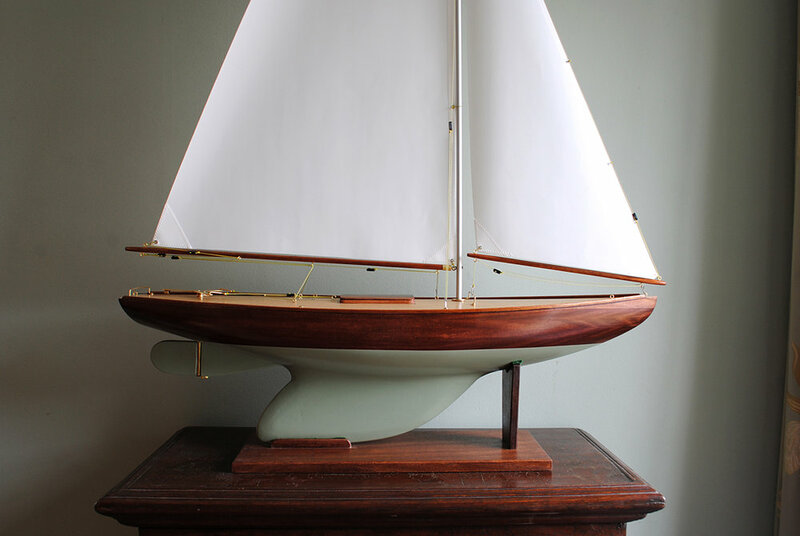 Options: Bespoke paintwork, Traditional Cambric Cotton sails.